"Oh, mother dear, We sadly fear our mittens we have lost". Then you shall have no pie"
Nursery rhymes can be sung, recited, mimicked and enacted . 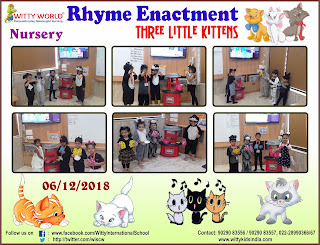 Enactment makes the children more confident and most importantly brings the poem and its characters come alive. 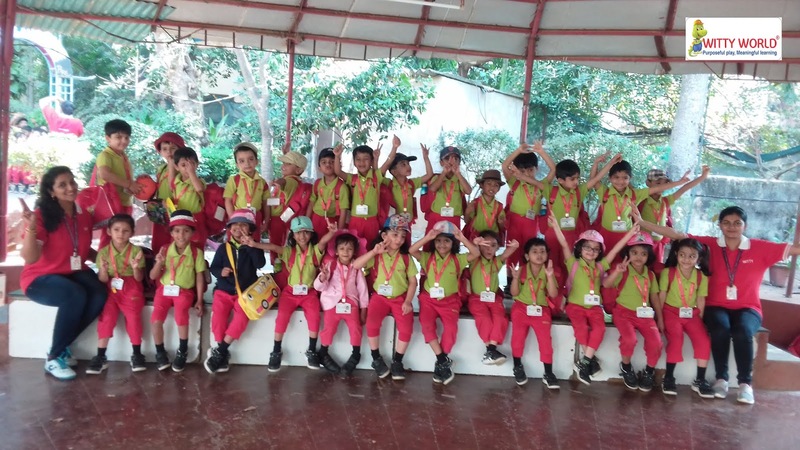 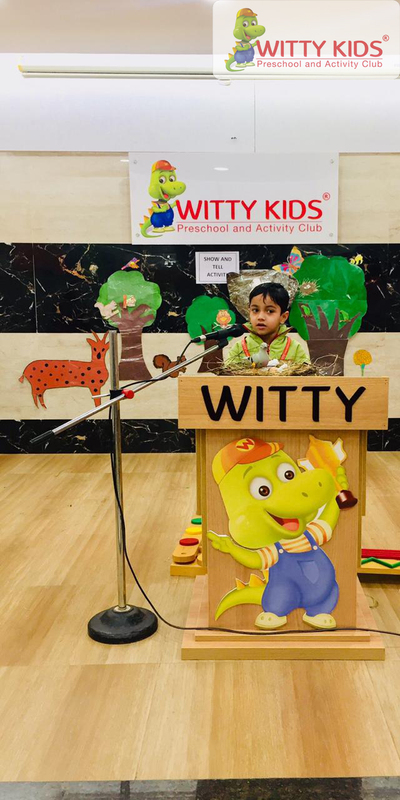 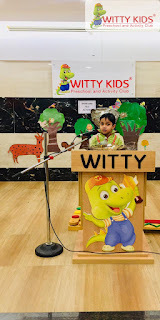 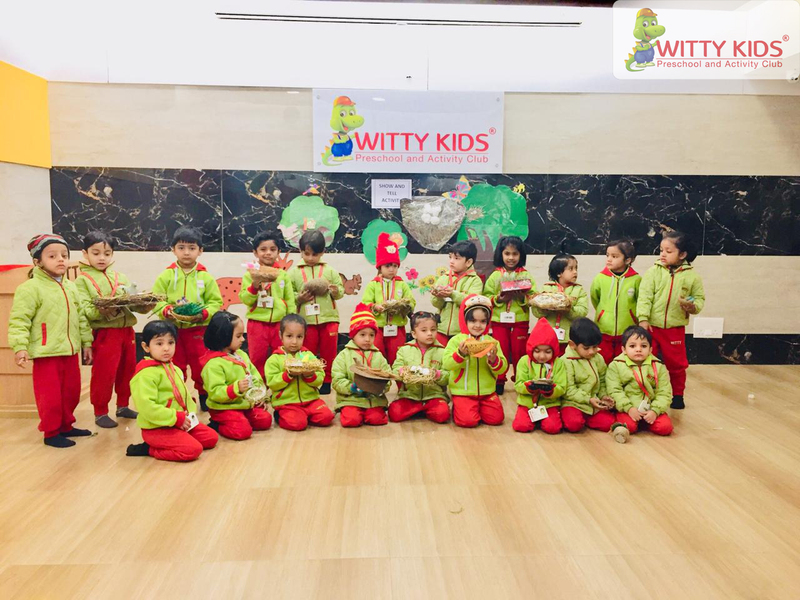 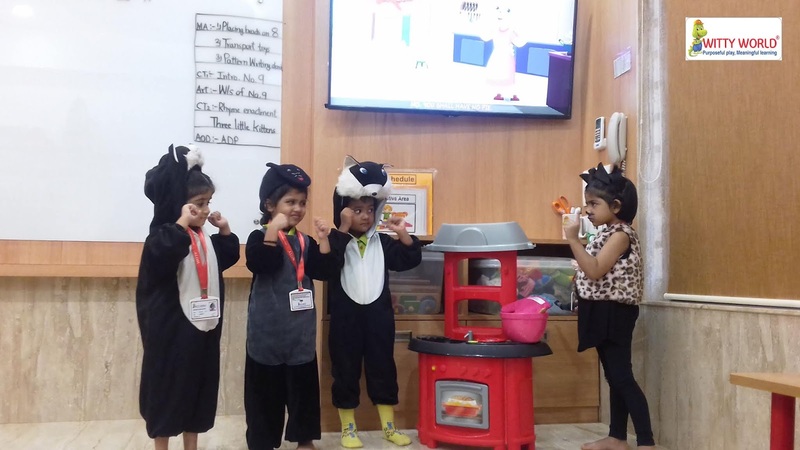 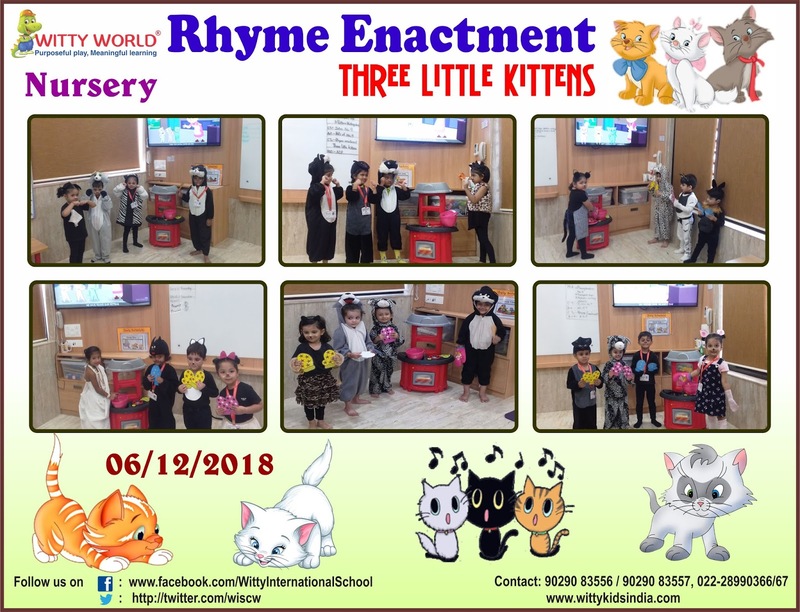 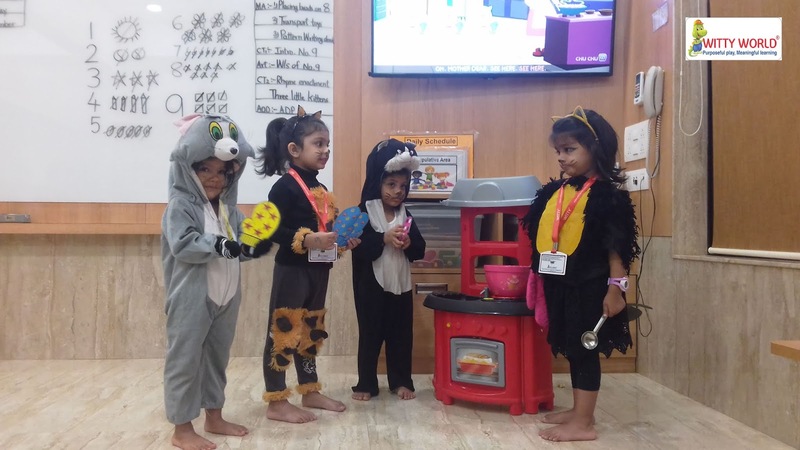 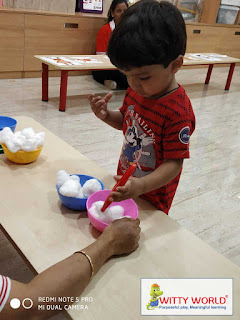 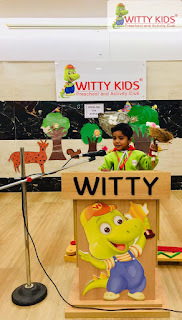 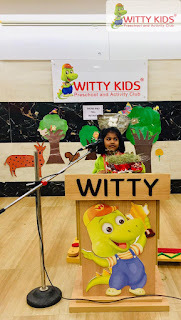 Children in the nursery class at Witty World participated in the enactment of the rhyme "Three little Kittens” on Thursday, 6 December 2018. 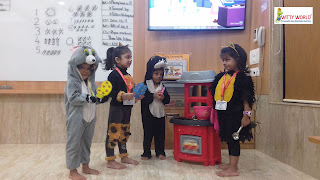 The excitement of dressing the part, and the joy of re-discovering the poem through actions was evident throughout the class!! They had a lovely time today. 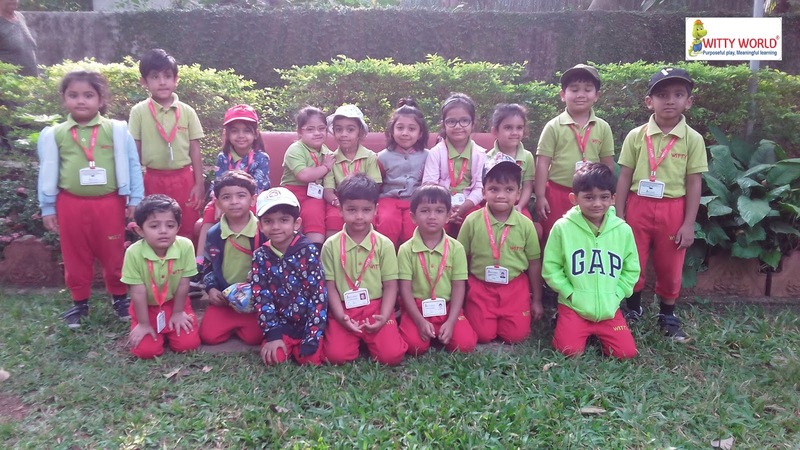 And see them enjoy on the picnic! 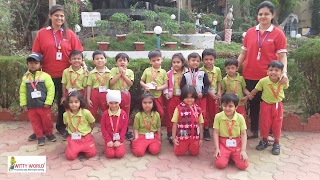 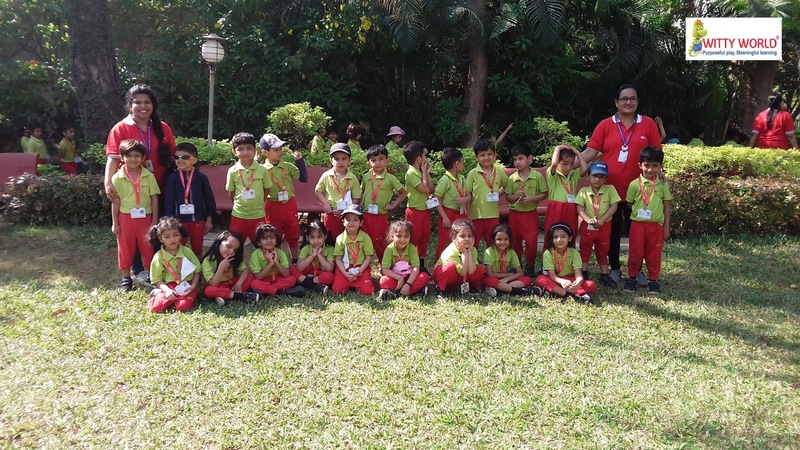 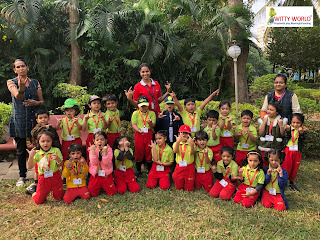 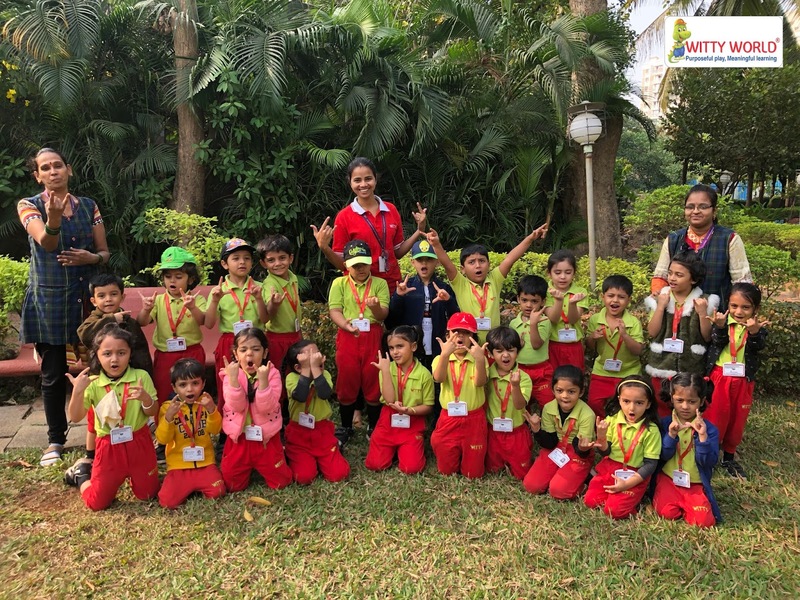 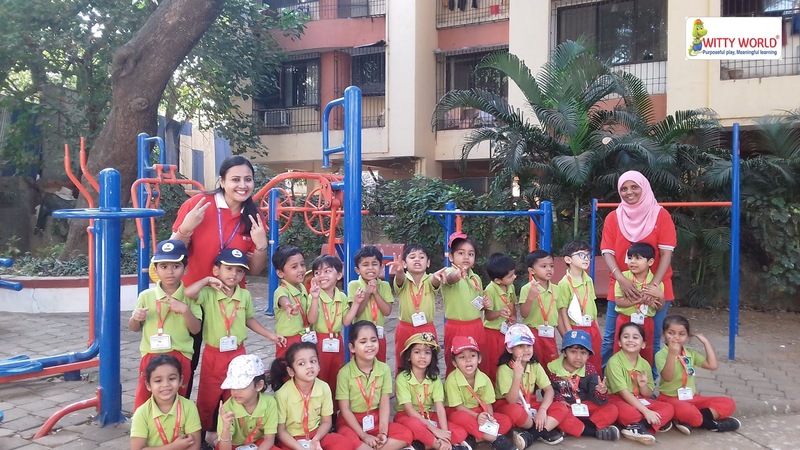 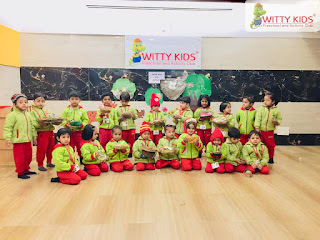 On Saturday, 8th December and 15th December 2018 our little Wittians of the Jr.KG section from Witty World (Chikoowadi) packed their picnic bags and got on to the bus to go to Om Shanti garden. 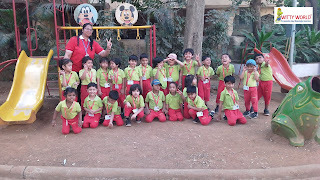 The kids had so much fun on the slides, swings and Jungle gyms. 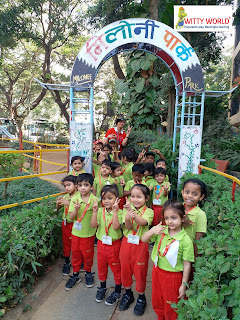 Healthy paneer rolls, tetra pack juice and fruits were enough to recharge their batteries. They also played some fun games like tug of war, ball balancing & parachute play. 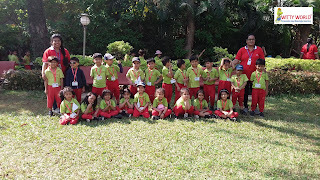 The children and the teachers surely returned with some great memories of their picnic. 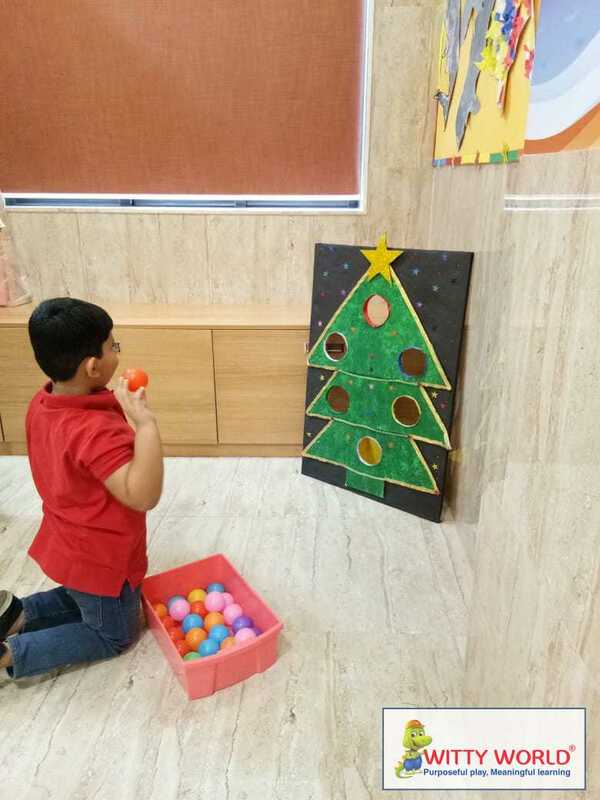 Made a manager’s cradle bright. 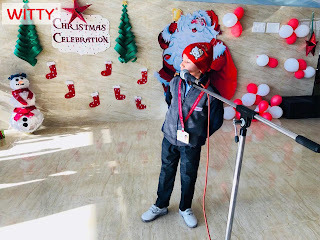 December is a magical month where the cold winds bring a nice, warm and joyful feeling, with Christmas just around the corner. 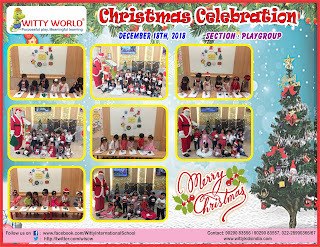 Pre- Primary children of Witty World turned up in their party dresses to celebrate Christmas on Friday, 21st December, 2018. 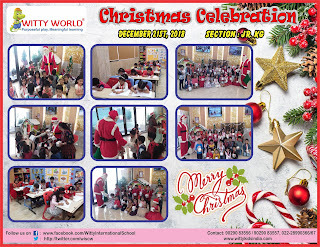 Santa arrived a wee bit early, with his bag of goodies, to meet the children of Witty World! 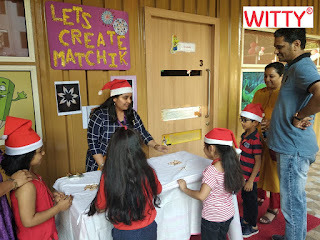 Teachers had put up an amazing Christmas display for the children with a nativity set-up. 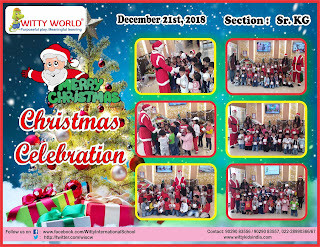 Children had a blast taking pictures with Santa, and of course dancing on Christmas carols!! 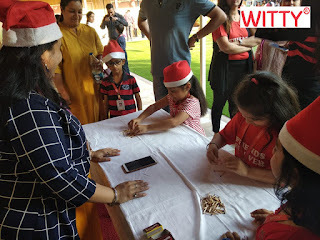 Receiving Christmas gift from Santa was the highlight of the day!! 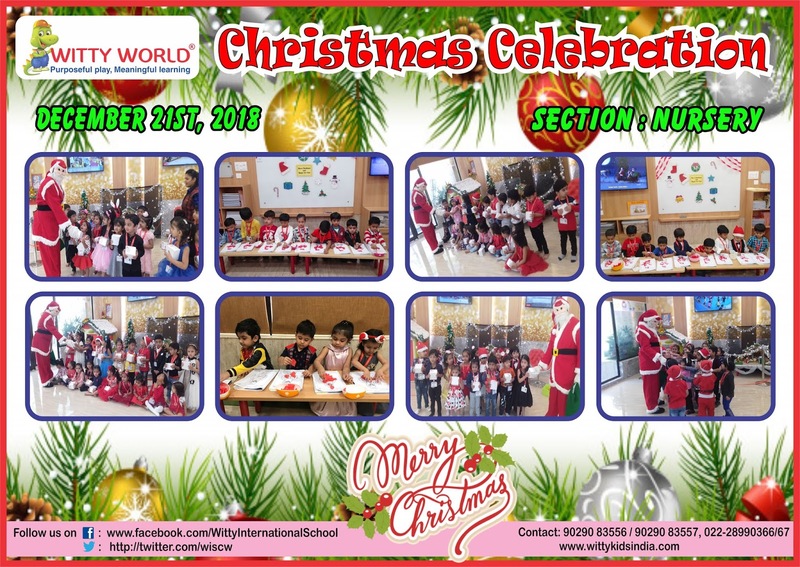 A wonderful start to Christmas a new year ahead for the children!! 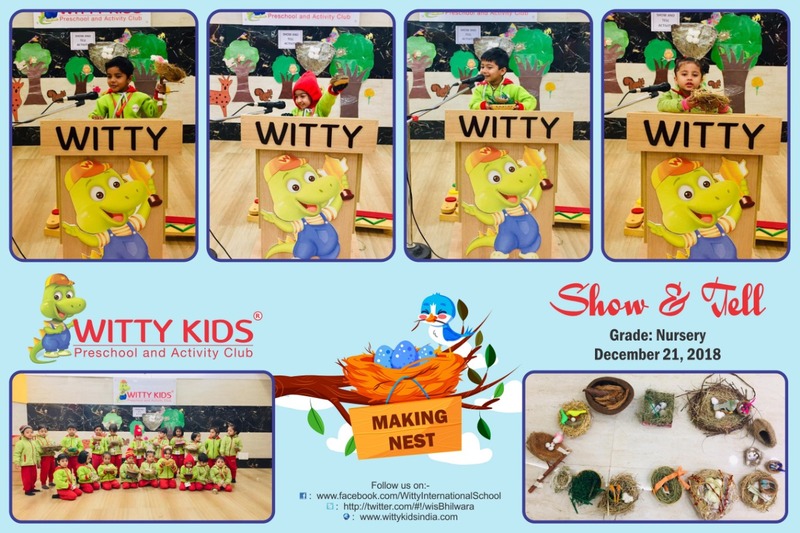 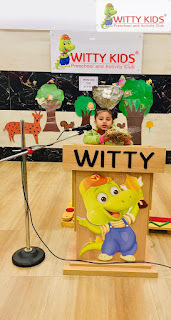 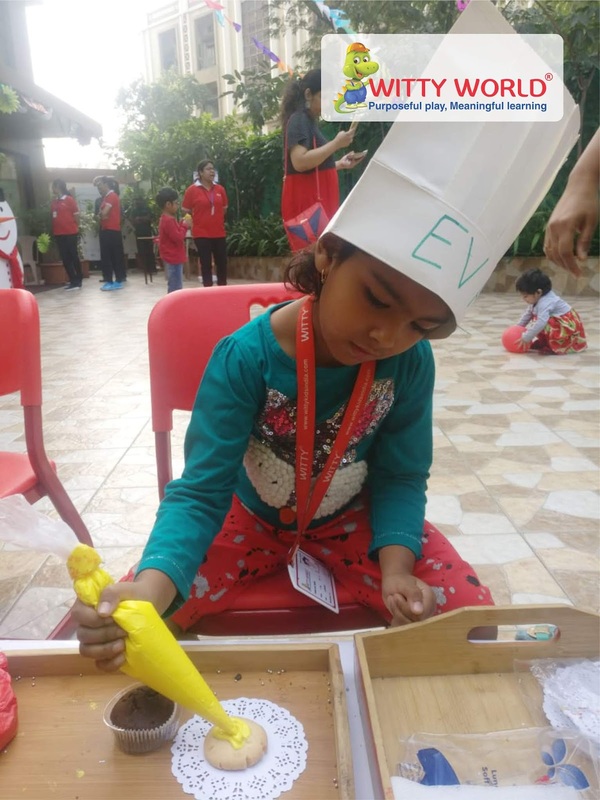 As per the theme of the month “Birds” the little birdies of Nursery, Witty Kids, Bhilwara, made and brought a Bird Nest from their home for 'Show and Tell' activity on December 21'2018. Children were thrilled to show their nest and the excitement was seen on their faces to see their friends nest. 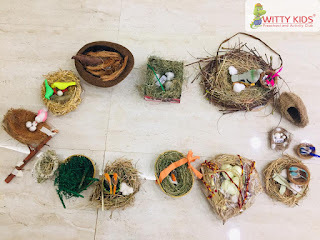 The little ones enjoyed speaking a few lines on the beautifully made nest that they had brought. The best part which could be seen was that they motivated each other with a big round of applause.These activities play a great role in developing the confidence of the little ones. 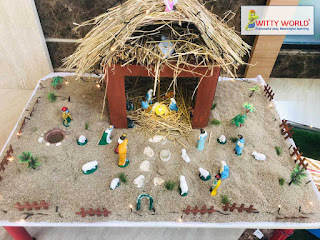 Of peace on earth Good –will to men! 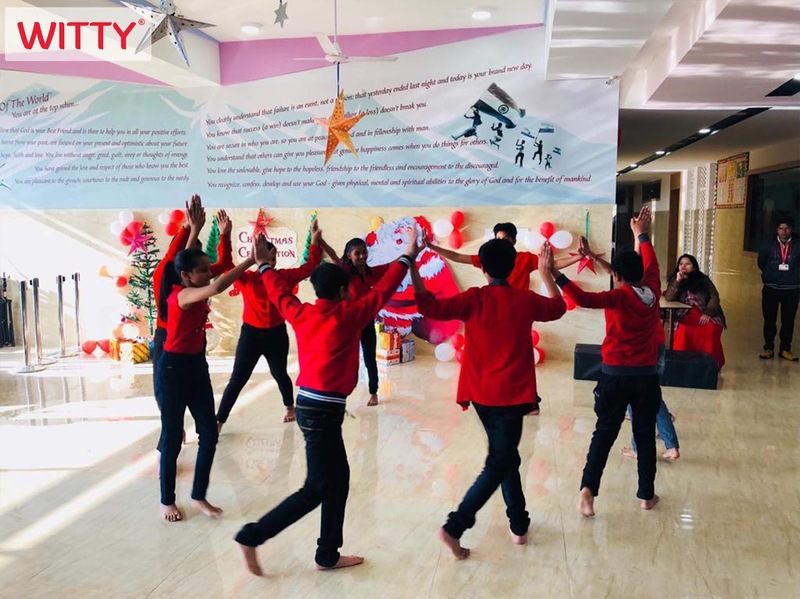 Christmas is for joy, for giving and sharing, for laughter, for coming together with family and friends, for tinsel and brightly decorated packages.The festive spirit of Christmas was witnessed among school staff and students of Witty International School with great fervor and vivacity on December 24,2018. 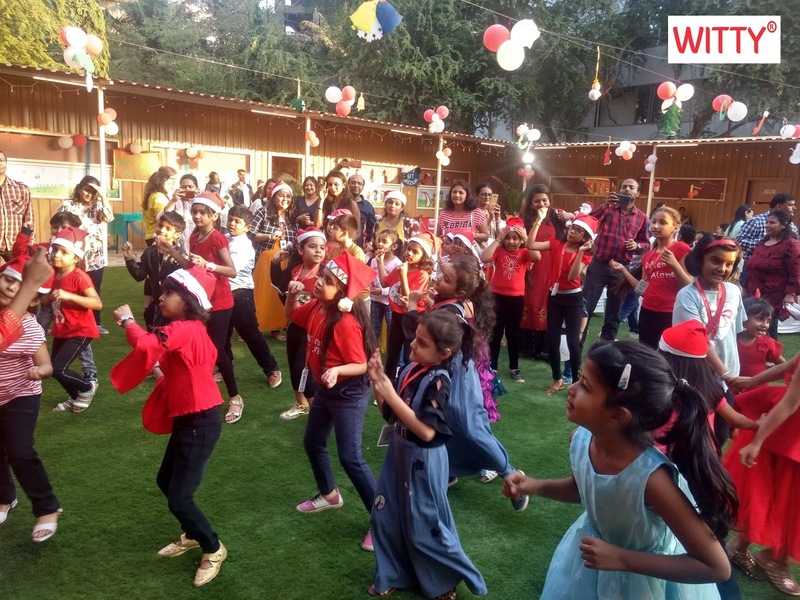 The Wittians celebrated the day through songs and dance performance. 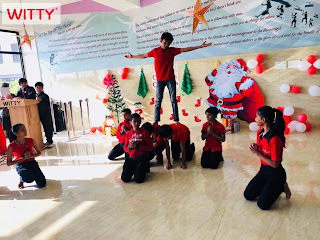 The students of Grade 7th and 8th enthralled the audience by enacting the scene from the novel “A Christmas Carol” by Charles Dickens. 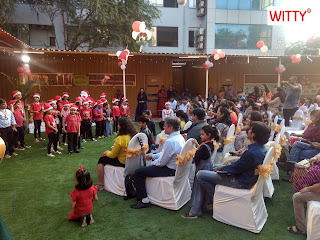 Tiny Tots of Grade 1 and 2 dressed in little Santa were hard to recognize. They recited Christmas poems and Christmas songs.The echoes of the Christmas carols sung by Grade 7A and B can be still heard in our ears. 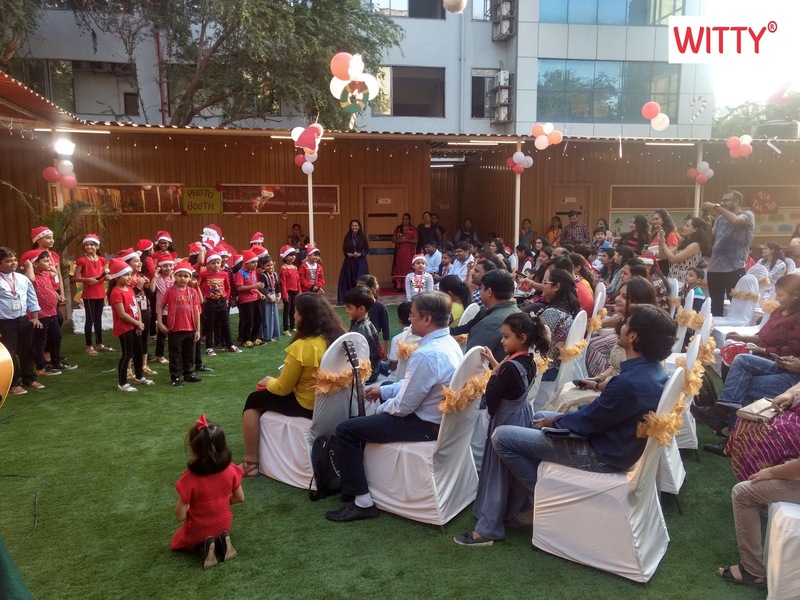 It was so inspiring that all the students and teachers also joined and started celebrating with far more enthusiasm. 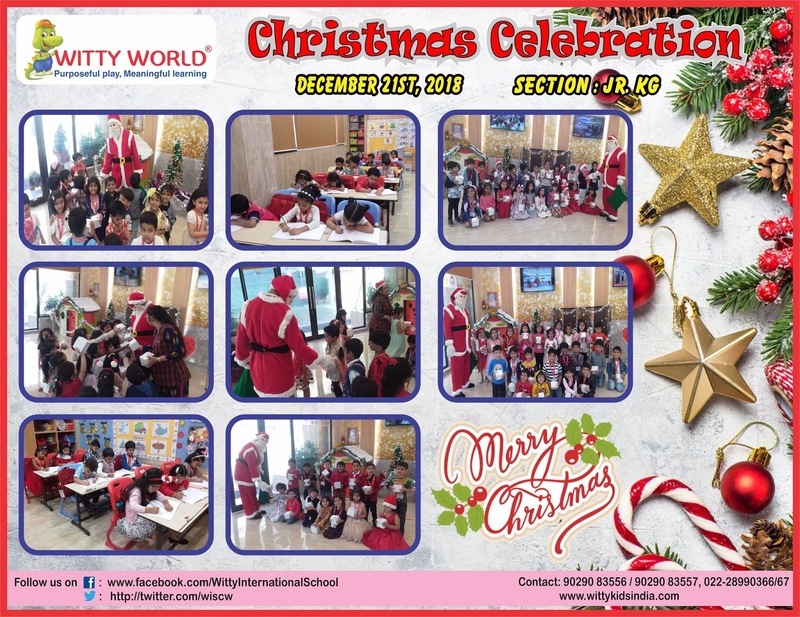 The essence of Christmas came alive when the most awaited “Santa Clause” banged the entrance Plaza.He dashed among the students and distributed gifts and chocolates. 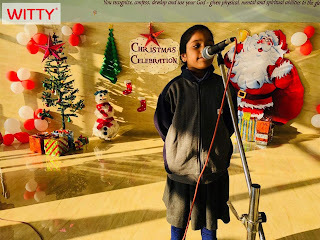 The students tailed the Santa Clause everywhere more for selfie than for chocolates.The celebration came to culmination with a motivational and inspiring message by one of our teachers. She emphasized the importance of humbleness, forgiveness, caring and sharing and spreading the goodness all around. 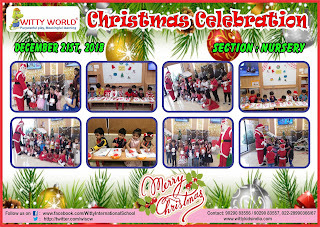 The children went home with cheers and smiles. 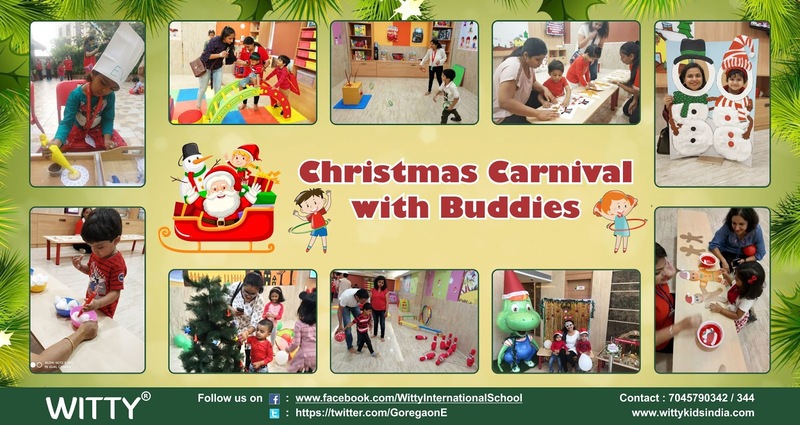 It was truly a Christmas to be remembered at Witty International School for the years to come. Step right up and toss a snowball. 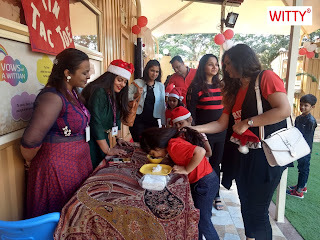 Cookie, Sandwich, and games galore. 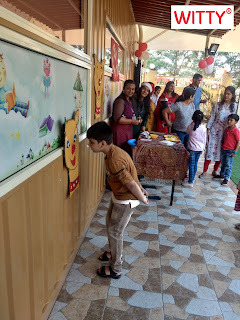 to fair-like fun on this carnival day! 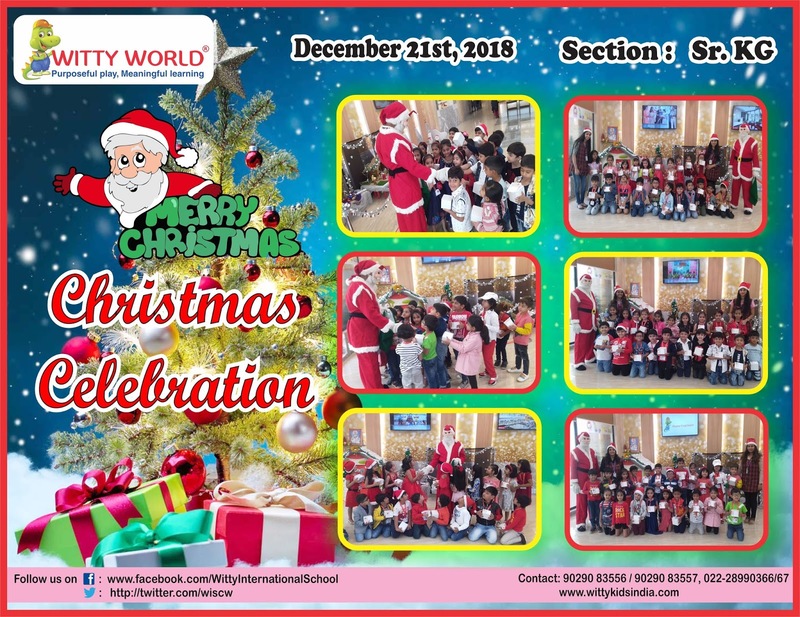 Christmas is a wonderful time for all to get together for some fun. Christmas carnivals provide entertainment suitable for those of all ages. 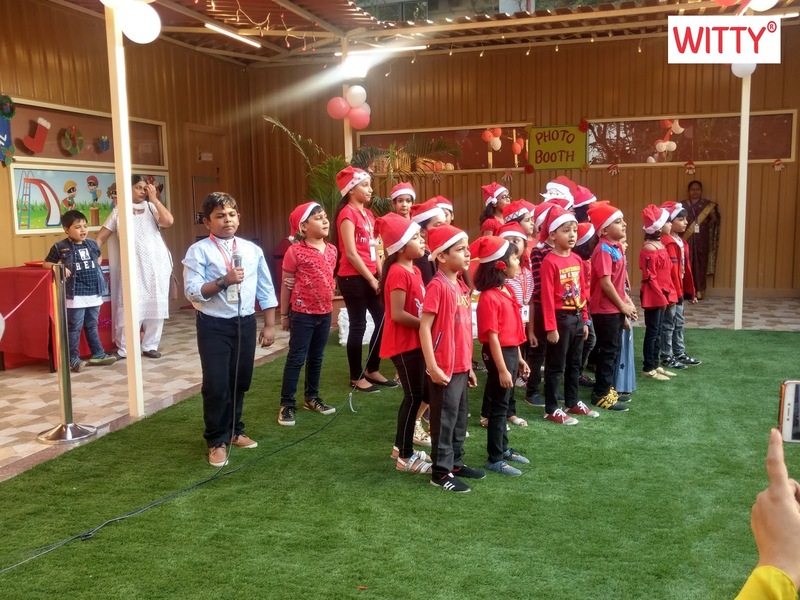 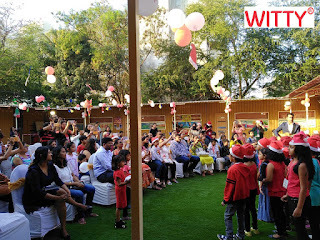 Witty World, Goregaon East was swept with Christmas fervour, being witnessed all across the school campus. 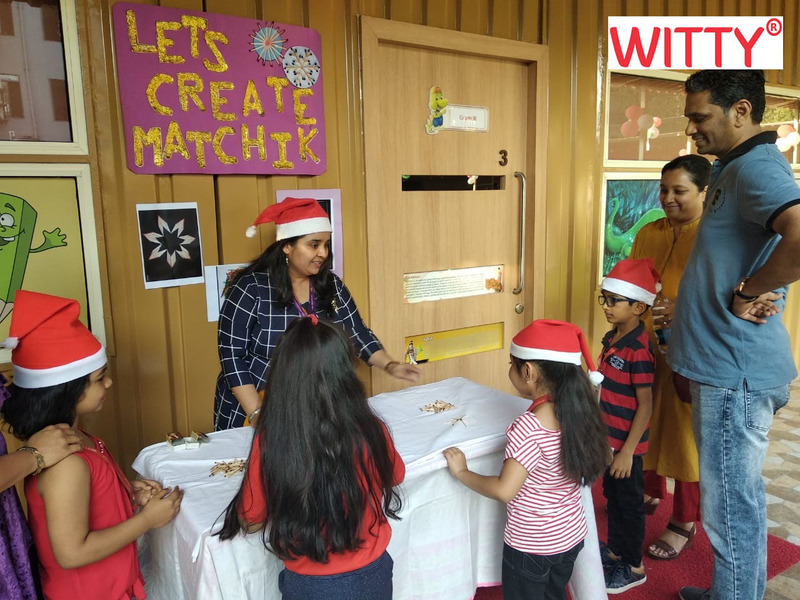 A Christmas carnival was held 0n Saturday, 15th December, 2018 for the pre-primary children as well as for outsiders and were accompanied by their mums. 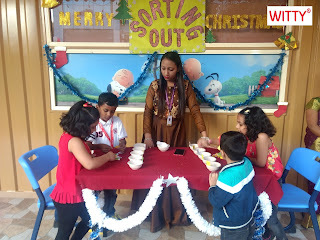 The school was beautifully decorated with cut-outs of Christmas trees, Santa Claus, gingerbread man, snow man, snowflakes and joysticks but the mode of attraction was the nativity set up. 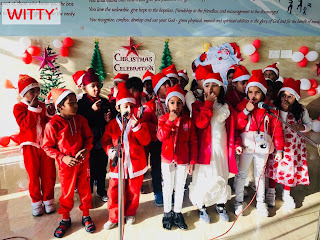 The little ones had a karaoke session with their mums where the zeal among them were so that they couldn’t help themselves from singing the rhymes. Santa arrived with his bag of goodies to meet the children, where they enjoyed clicking photos with Santa and off course dancing to live Christmas carols! Receiving Christmas gifts from Santa was the highlight of the day. 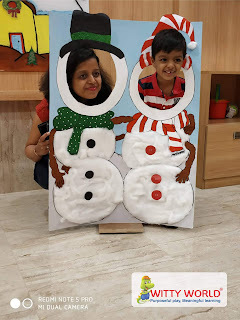 Christmas Carnival – Let’s Jingle With Mom and Dad! Christmas brings cheer and love and we celebrated it with the same fervour, spreading the message of love and joy among our children. 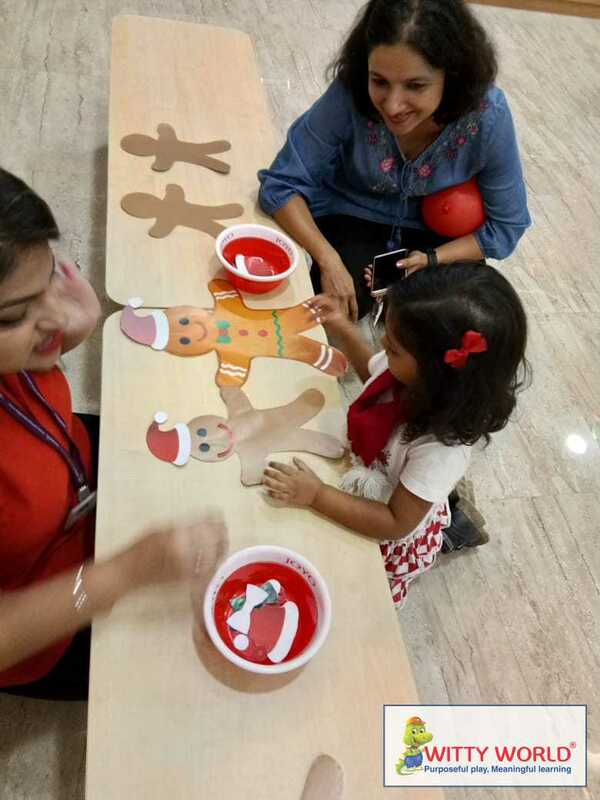 Parents play a very important role in every child’s life. The first love and teachers of every child is parents. 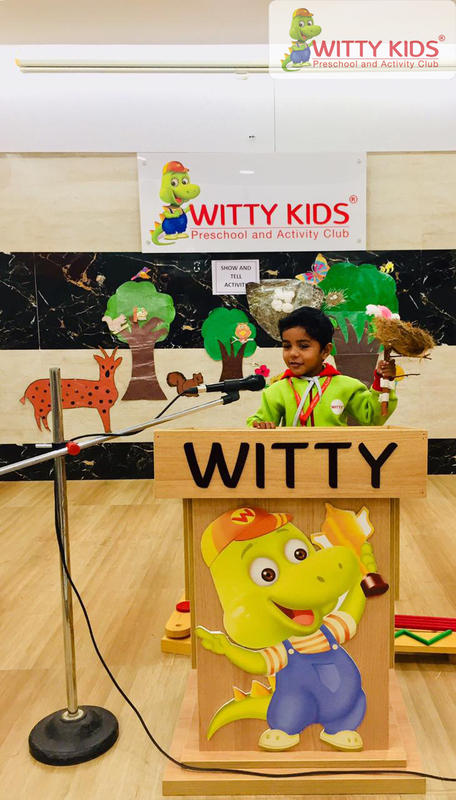 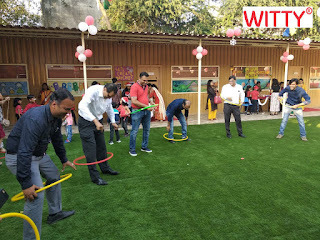 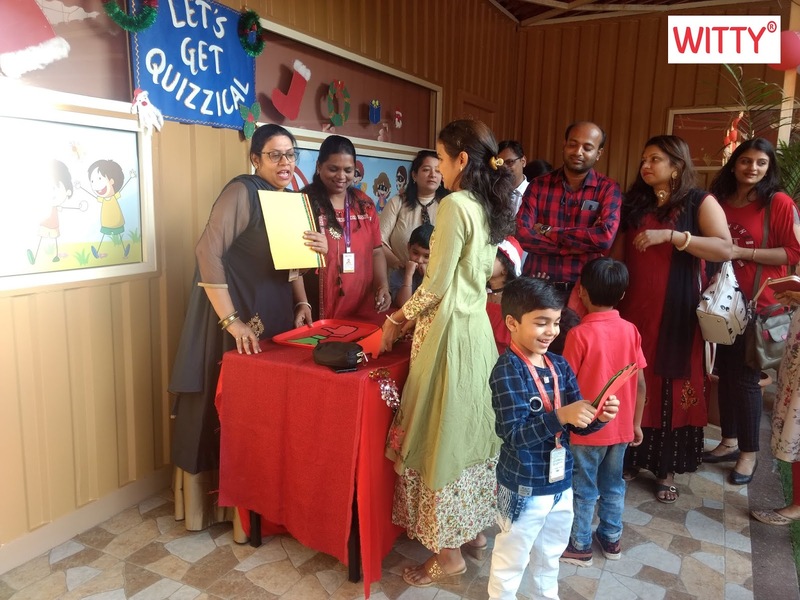 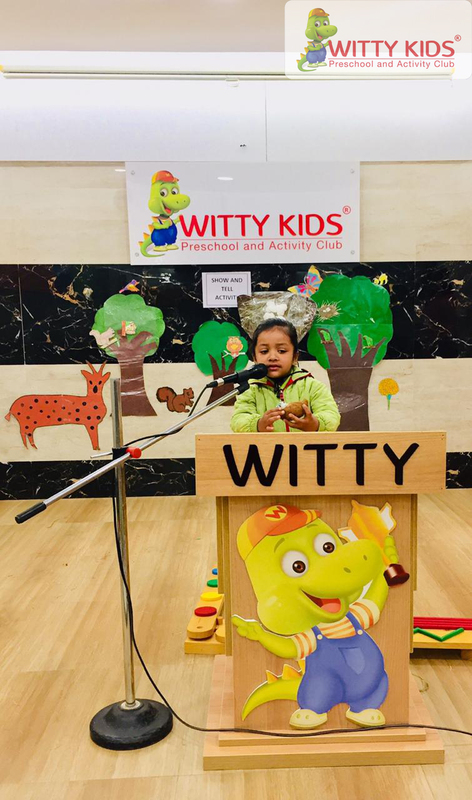 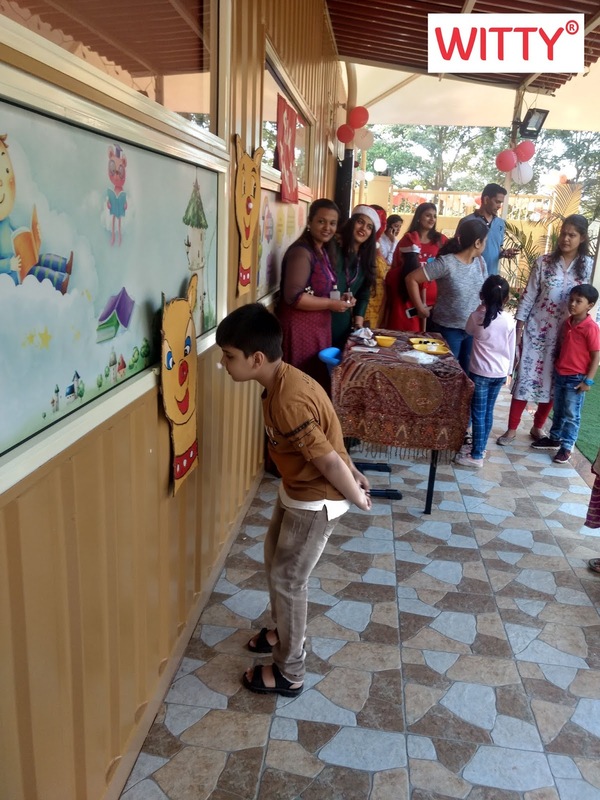 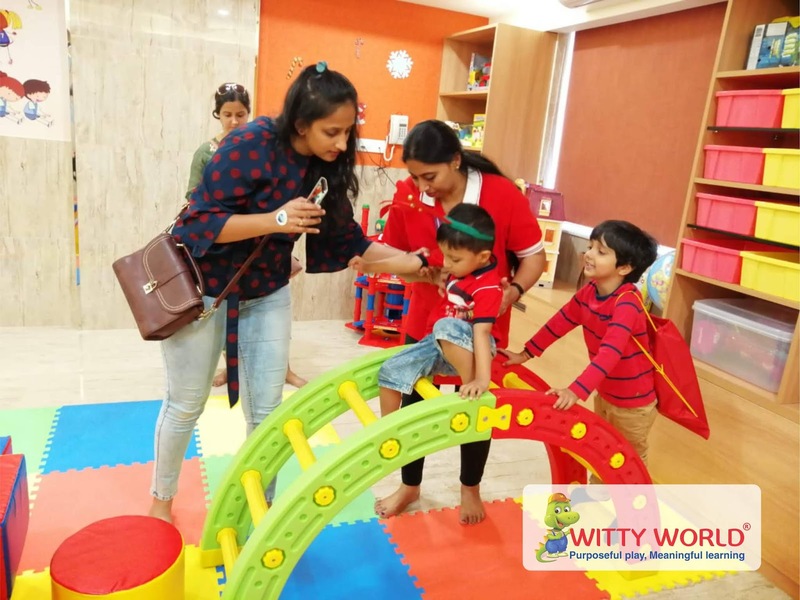 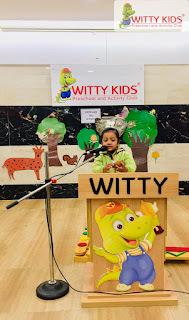 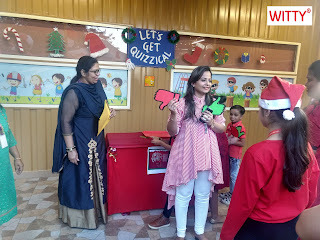 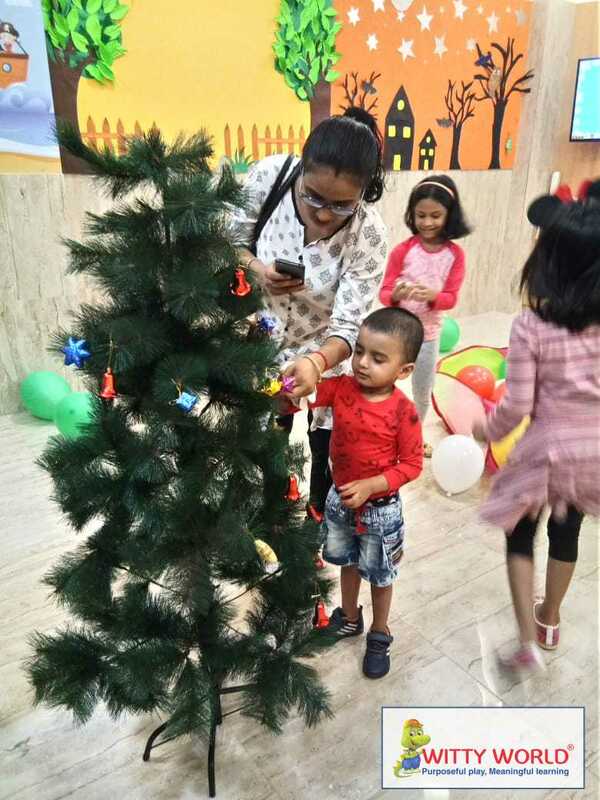 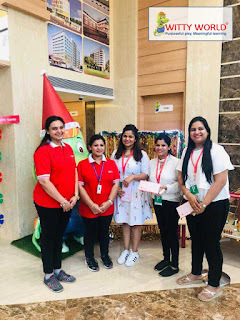 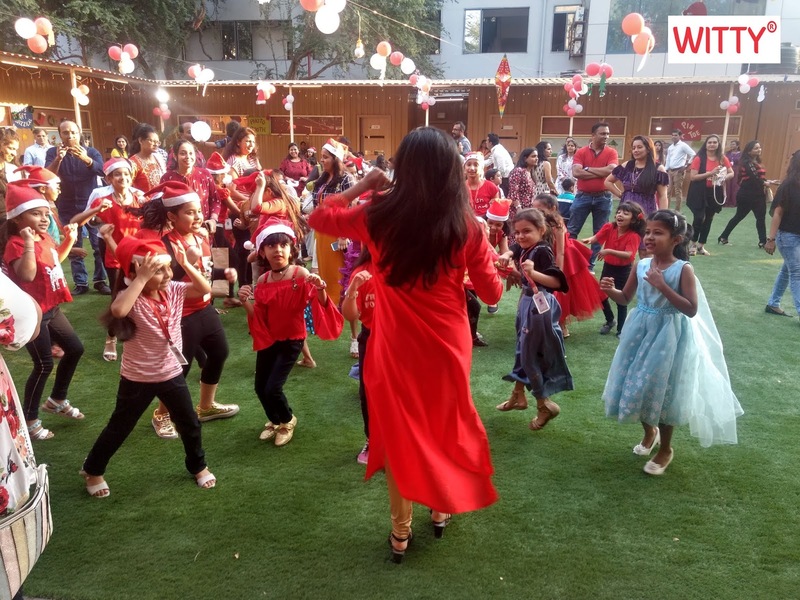 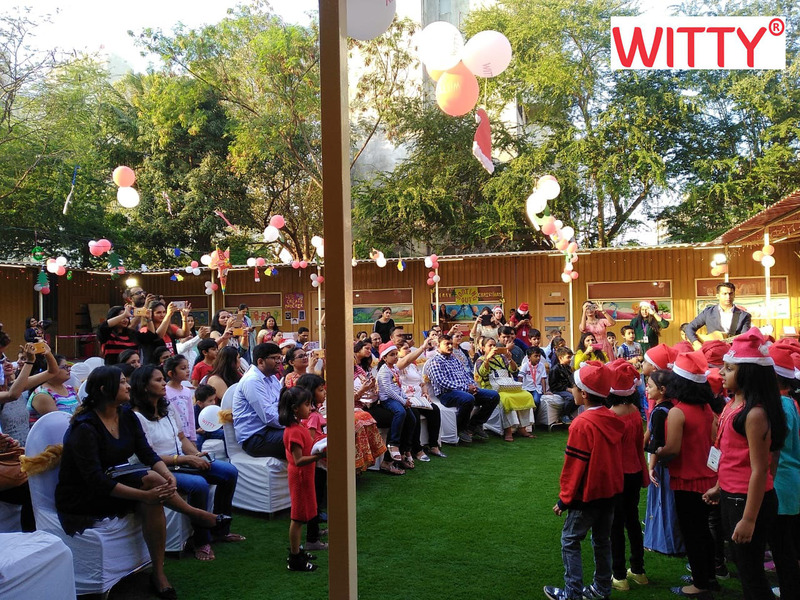 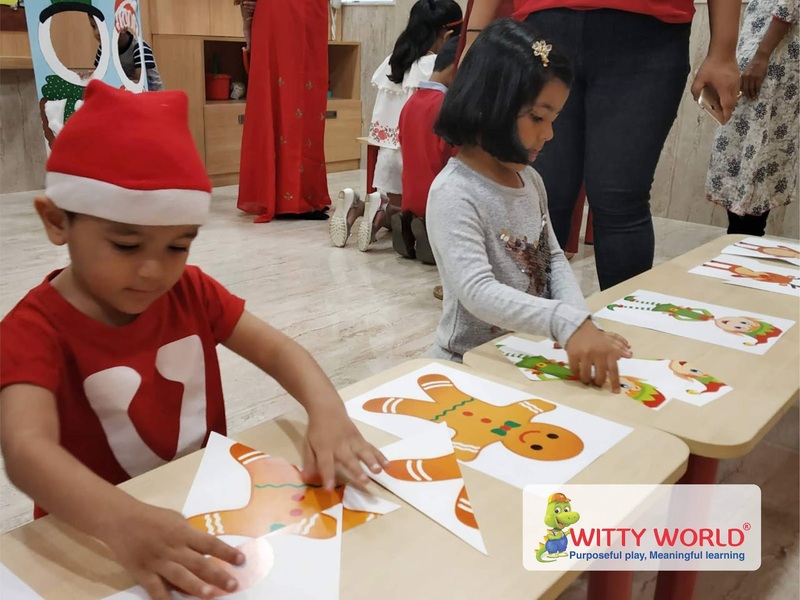 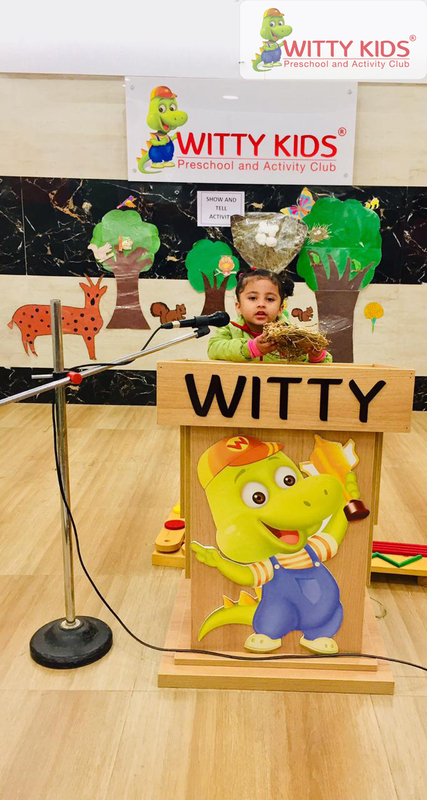 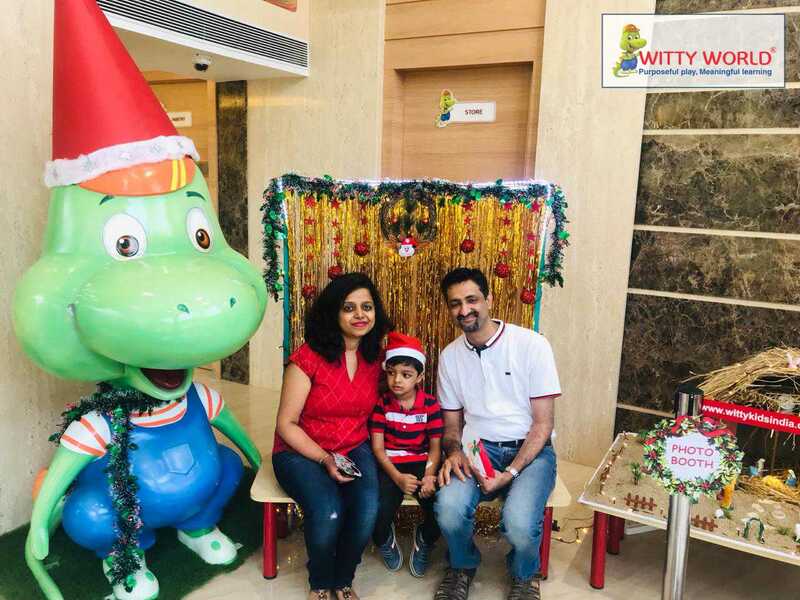 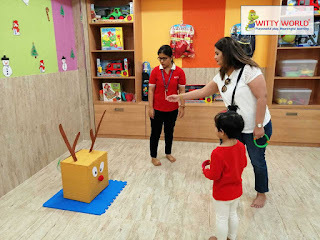 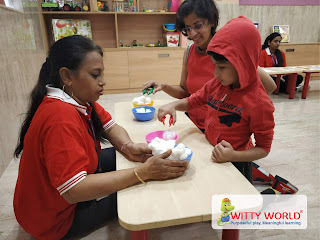 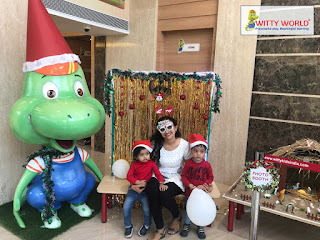 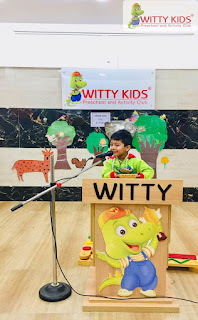 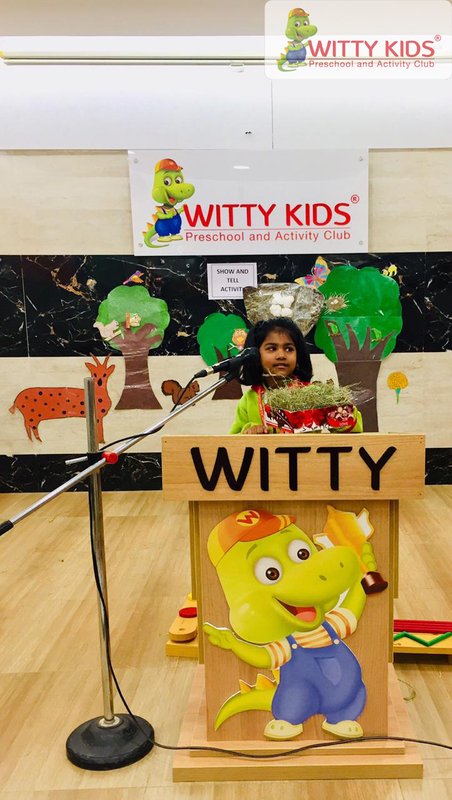 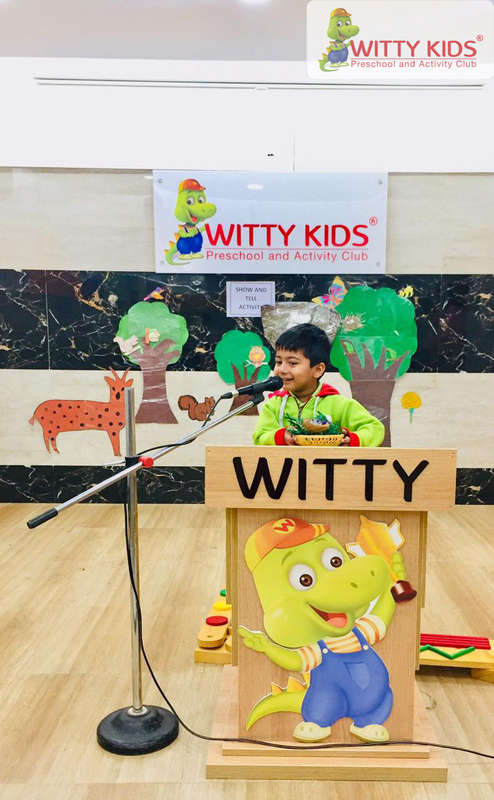 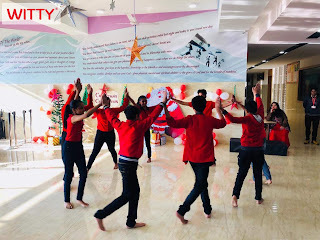 Soaking in the spirits of Christmas, ‘Christmas Carnival – Let’s Jingle with Mom and Dad’ was organized at Witty kids Chikoowadi for Wittians along with their parents. Christmas colours and vibes were all across the school campus engulfing the parents and students into the celebration mode. The entire campus was festooned with colorful streamers and balloons, the Crib and the Tree was decorated with balloons and buntings, the ground buzzed with various activities; fun and frolic completely took over everything. 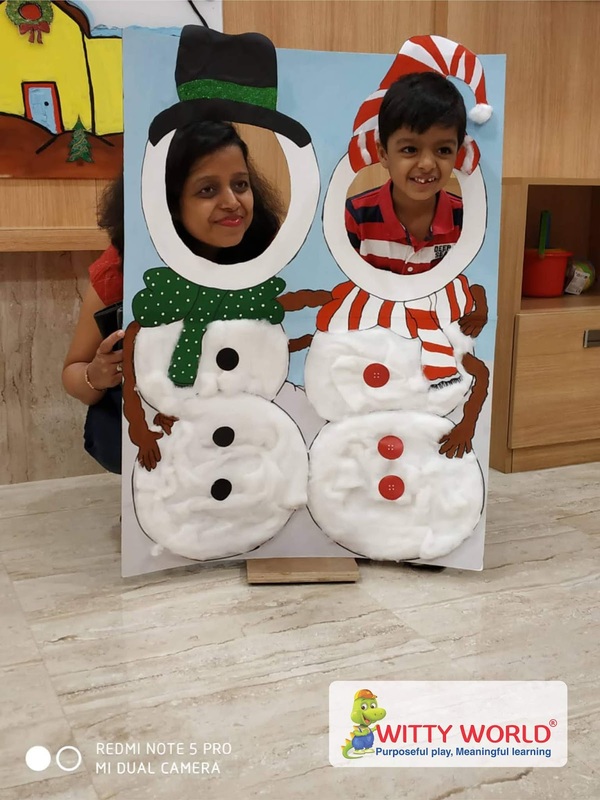 Photo booths such as the nativity scene, a brightly decorated Santa with his sleigh and a Snowman on its icy land where parents and children captured the beautiful moments were the center of attraction. 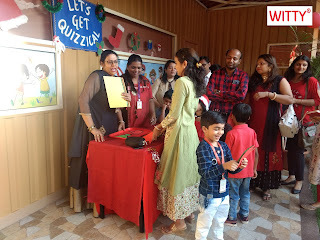 Caught in the whirl of fun and excitement, everyone enjoyed the sprawl of exciting games like Music and Movement, Let’s Get Quizzical, Sorting Fun, Let’s Create Matchik. 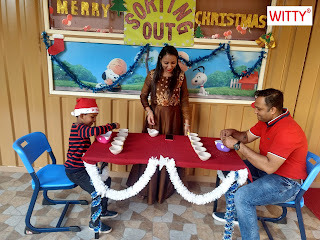 It was a real treat for anyone in the spirit of the season. There melodious carol singing presented by the choir group was an icing on the cake. Towards the end of the carnival the enthusiasm among children and parents was such that they danced their heart out creating a vibrant and exuberant evening.